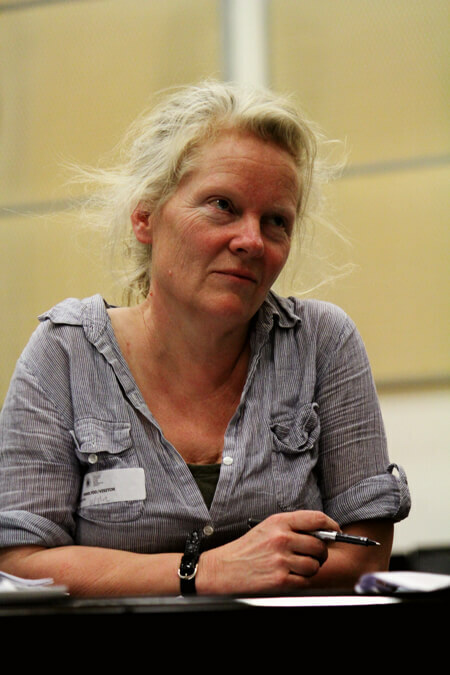 Karen spent the early part of her working life as an actor and musician and became an ensemble member and lyricist and later artistic director of the Bristol-based theatre collective Public Parts. The improvised and devised nature of the work provided the most profound creative education and has influenced her writing life. From theatre she made the tentative next step towards lyric and libretto writing and poetry and found herself creating verbatim texts in an arts and well-being context with marginalised groups and most particularly with people living with dementia. She was mentored and encouraged by the poet and broadcaster John Killick who demonstrated to her that poetry was ‘the natural language of people with dementia’ and she has continued to work in the field ever since. She has produced two anthologies of ‘dementia poetry’ as well as two opera libretti and a song cycle, each dealing with aspects of living with dementia, the fading of memory and the poetic language which evolves from the experience. I Had an Angel, written with composer John O’Hara, was produced live and also as an opera film for WNO. The Bargee’s Wife, also written with John O’Hara, was produced as a community Opera for the 3 Choirs Festival as was their song cycle I Can Hear You Waiting. Karen’s verbatim poetic work has expanded to enable her to work with children living with autism or with a diagnosis of PMLD, with young people living on the edges of the criminal justice system or at risk from sexual or other forms of exploitation, with elderly people who are considered hard to reach due to mental health issues, loneliness or without English as a first language. She works alongside visual artists and composers, theatre practitioners and musicians. Most recently she created a libretto for an Oratorio with composer Thomas Johnson, The Street of Bugles which was performed at the 3 Choirs Festival and a cycle of poetry to accompany an arts installation A Cargo of Curiosities with fellow writer and film-maker Chris salt. She was Charles Causley poet-in-residence at Cypress Well in 2016. In 2017, her poem The Belgians won the Foreign Voices competition. This poem is included The Houses Along the Wall – A Pembrokeshire Poetry Cycle which will be published in September 2018.